Unless you have purchased a home, your car is likely one of your most valuable possessions. It is also your mode of transportation and it gets you from one destination to the next without fail. If you plan to go out of town for a while or you plan to not drive it for some time, you need a safe place to store it. Self-storage facilities are a wonderful option for storing your car and they allow you to have the peace of mind you need while you are away. If you are new to the storage scene, there are many options to store your car and almost all options will meet your needs in some way. Below, we will discuss what car storage is, the types of car storage available, and answer some questions you may have too. Car storage is a place for you to safely store your car while you are away or while the car is not in use. This type of storage allows you to store the car off site, so you do not have to worry about it taking up space in your garage or in your yard/driveway. Anyone can benefit from and use car storage. Typically, individuals who need to travel for a fair amount of time will store their car in a storage unit. If you need to leave on deployment, car storage is a good idea too. Even if you do not plan to travel, you may want to use car storage to protect a collectible or classic car. These cars must be kept in pristine condition and it may be difficult to do that without car storage. There are several reasons why someone may want to store their car and car storage does offer you quite a few benefits. For starters, if you are short on space, you will find that storing your car frees up that space and you do not have to worry about your car becoming an eyesore on the side of the house or next to the driveway. Another benefit of car storage is that you can store multiple cars if you need to. Since your garage is extra space for your home, you do not want to crowd it with cars and a storage unit is a great way to keep your cars protected while not utilizing extra space you can enjoy. Lastly, many individuals choose car storage because their car is out of the elements of the weather. Over time, damage can occur to your car if it sits outside and takes a beating from wind, hail, tree branches, and so on. Most people who want to store their cars are looking for an affordable place to do so while keeping the car out of the way. Other individuals may be looking for an enclosed space to house their next classic car until they can show it or sell it. No matter what your reason is for needing car storage, you do have a few options. Let’s look below. Drive-up car storage is one of the more popular options because it is affordable, and it provides your car with protection from the elements. This type of unit allows you to drive right up to it and is like a garage except the unit is located at a self-storage facility and not attached to your home. When you choose a drive-up car storage unit, your car will be completely enclosed within the unit, which means it is safe and out of sight. You will need to invest in a good lock to protect the unit even further. Outdoor car storage is one of the most affordable options available and it is ideal for many people who want to simply store their car until they need it again. 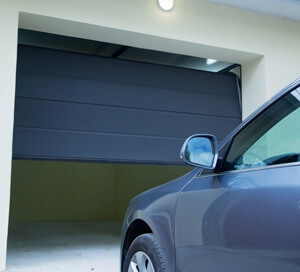 To put it simply, outdoor car storage is a parking space for your car; however, the parking space is surrounded within the confines of the storage unit, which means it is protected behind a fence and gate that requires an access code, in most cases. This option is best for individuals who are not trying to preserve a classic or antique car and those who want to be able to access the car quickly when ready to do so. Most storage facilities offer covered car storage and this type of spot is more expensive than an outdoor option but less expensive than the drive-up option. When you rent covered car storage, your car will be parked outside; however, it will be underneath a canopy or some type of covering that shields it from most of the weather outside. This is a great option for those who do not want their vehicle stored directly outdoors but also for those who do not require a completely enclosed option. 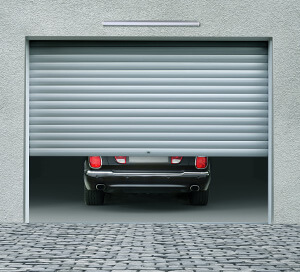 Indoor car storage is an option that some facilities offer, but not all. When storing your car indoors, your car will be housed with other cars in a large warehouse-type setting. While this is not a completely private storing option, your car will be protected from the weather, vandalism, and access to others who do not have a car stored at the location. When it comes time to choose a car storage option, it comes down to what your budget is and what type of car you plan to store and for how long. If you want to preserve your car or you have a classic car, your best option would be an indoor or drive-up unit. If you are just looking for a place to keep your car while it is not in use, an outdoor or covered space is ideal. If you plan to place your car in a drive-up access storage unit, you need to make sure that you know what size unit to rent. There are several unit sizes but not all will meet your needs. As you start to shop for car storage unit, you can skip the 5x5 and 5x10 units because they will be too small. Below, you will find some of the common car storage unit sizes and what types of cars can fit in them. It is important to consider a 10x10 unit when searching for car storage. This unit is comparable to the size of a small bedroom and may be able to fit small compact cars inside such as a SMART car. While a 10x10 is may meet your needs, it may be a tight fit and storage facilities often recommend a larger unit. A 10x15 storage unit is a nice choice if you have a compact car. Before you settle on this unit though, you will want to measure your car to ensure it will fit nicely within the unit. Sometimes, you may think your car will fit but it turns out it is too long. Knowing the dimensions of your car can help you decide if a 10x15 unit size is a good choice. A 10x20 unit will fit most vehicles except for large trucks and vans. If you have a crossover, small SUV, and sedan, your vehicle will almost always fit within this unit. As always, you should measure your car to ensure that it will fit comfortably within the unit. If not, you may need to upgrade to a larger unit. If you are the owner of a larger sized SUV, truck, or van, then you will benefit from having a 10x25 or 10x30 unit. This size unit is almost always guaranteed to fit your car, truck, or SUV. Preparing your car for indoor or outdoor storage is a necessary step to make sure that your car is protected and ready to drive when you return to remove it from storage. Below, you will find some steps you should take to prepare your car and get it ready to store, even if it is only for a couple of months. Step #1: Clean your car. The first step you want to take is to clean your car. You should thoroughly wash it to remove any dirt and debris that may be on it, as mud and dirt can cause scratches on the paint over time. You should also wax the car to protect the paint while it is being stored. Step #2: Change the oil and filter. Before you store your car, you should change both the oil and the filter to ensure that the oil does not become gummy and that it can flow freely within the engine to lubricate all necessary parts. Once the oil has been changed, do run the engine for about 5 to 10 minutes. Step #3: Top off the fuel tank. If you plan to store your car for a long period of time, you want to fill up the gas tank and then add a fuel stabilizer to ensure the fuel does not breakdown and corrode. You should never store your car with a half empty tank as this can lead to condensation buildup, which may rust your tank. Step #4: Disconnect your battery. When a battery sits too long in a car, it will eventually just lose its charge. If you plan to store your car for a long period of time, you want to make sure to disconnect the battery and store it somewhere safe. If you do not plan to store the car for too long, then you may want to invest in a trickle charger to keep the battery charged while the car is stored. Step #5: Protect your car from pests. Even if you store your car inside a storage unit, it can still become invaded by pests or rodents, especially if the tenant next to you stores food or other attractants to pests. To protect from pests and rodents, you should seal any open holes on the car such as the exhaust pipe. You can also treat the unit for pests or rodents to help better protect your car. Step #6: Maintain and care for the tires. Tires deflate over time, so you want to make sure that you fill up your tires to the max level before you store the car. If your car will sit in the same position for a long time, the tires may develop flat spots. To avoid flat spots, you should store the car on cinder blocks or if you are nearby to the storage unit, you should rotate the tires every few weeks. Step #7: Purchase a car cover and cover your car. This step is best if you plan to store your car outdoors, but you can still use a car cover indoors too. A quality car cover can help protect your car from weather, pests, and damage. It can be dangerous to simply take your car out of storage and drive it down the road. You must inspect your vehicle first to ensure that no damage occurred to the car while you were away or while it remained in storage. Remove the cover from your car and inspect the exterior for any damage. You should wipe away any dirt or dust and look for signs of pests or rodents. If you notice signs of pests or rodents, you should inspect the car further to ensure there is no electrical wiring damage. Check all the fluids in your car to ensure they are at the proper level. You may need to top them off if the levels appear to be too low. You should check all rubber hoses to ensure they did not crack while being stored. If they did, you will need to replace them before you drive your car. Take a moment to check out your tires. Make sure they are adequately inflated and look for any flat spots. Add your battery back to the car and connect it properly so that you can start your car. Before you drive the car, allow it to run for about 10 to 15 minutes and listen for any noises or leaks. When you are ready to drive the car, start out slow and test out the brakes, turn signals, and other functionalities of the vehicle to ensure everything is in proper working order. Below, you will find some of the most commonly asked and answered questions about car storage. What does it mean when a storage unit offers trickle charging? Some indoor storage units such as those that house multiple cars in a warehouse-like setting will offer what is called trickle charging. This is where a charger is placed on a battery that will be stored for an extended period. The charger works to keep your battery from losing its charge. This type of service may cost extra money, or it may be included in your rent should the facility offer the service. If you do not want to pay extra, you can purchase your own trickle charger for under $100 and keep your battery charged at home. Will my car become damaged if it sits for a long period of time? It depends. It is possible for your car to become damaged if it sits for a long period of time, especially if it was not maintained before it was stored. However, if you follow the proper steps to prepare your car for storage or visit the car and perform regular maintenance on it, then it will not become damaged while it sits. How much will it cost me to store my car? You may be wondering if car storage is an affordable option and it is. There are many discounts offered by storage facilities and you can take advantage of them too. When it comes to specific prices, it is not possible to give you an accurate quote as it will depend on the storage unit size you choose, how long you need to lease for, and other factors. However, we can provide you with some estimates. The average cost for outdoor car storage in a small city can cost somewhere around $70 per month. In larger cities, that same outdoor spot may cost you about $100 to $150 per month with in-demand areas costing a bit more. Indoor car storage can run you anywhere from $100 up to $250 per month depending on the location, demand, size, and your needs. Am I allowed to store my car at a facility and work on it? Often, storage facilities will not allow you to work on your car at their location. You can likely perform minimal maintenance on the car such as preparing it for storage and making small repairs when removing it from storage. If your car is not running or it is in need of major repairs, you will need to take it to a shop in most cases. 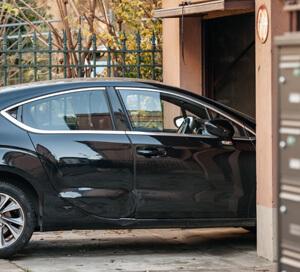 Storage facilities cannot house cars that do not work as they do not want the car dumped on them and their insurance policies may not allow it. What are some of the requirements to store a car at a storage facility? Each storage facility has different requirements to store your car at their facility; however, you can expect each facility to require that the car is registered and insured in your name. If you are not planning to drive the car for an extended period, you may be able to save money by insuring your car on a temporary policy. You will need to speak with your insurance agent to learn more. In addition, some storage facilities require that the car be running and in working order to store it. As we mentioned in the beginning, your car is an investment and likely one of your biggest ones. Because of this, you want to make sure your car is safe when it is stored. To give you a better sense and peace of mind, you want to inspect and tour each self-storage facility before you leave your car there. Below, we will go over a few security features you want the self-storage unit you store your car at to have. You do not want to leave your car stored at a facility that anyone can gain access to. The facility you choose should offer secure access through a unique gate code given out to every tenant. The best security is when each tenant has a different code than the next. In addition, the facility should be gated to prevent any unauthorized access to the premises. A fully and well-lit facility is one that you want to store your car at. Lights will help deter criminal or any suspicious activity on the property. In addition, you will feel confident and protected while maintaining your car. Many storage facilities have some type of video surveillance in use in today’s day and age. However, do not assume that any property does and inquire within. You want the facility you store your car at to offer video surveillance around the clock. Your peace of mind is important, especially when you store a classic or antique car. The last thing you want is a call that it has been stolen or your unit has been broken into. Make sure you choose a facility that offers individual unit security such as allowing you to secure your unit with a lock that only YOU have the key to. Trusting your car at a storage facility can be difficult but if you are looking to store your car for any period, a storage facility is a nice option. If you would like to find car storage near me, feel free to perform a search below using your location.